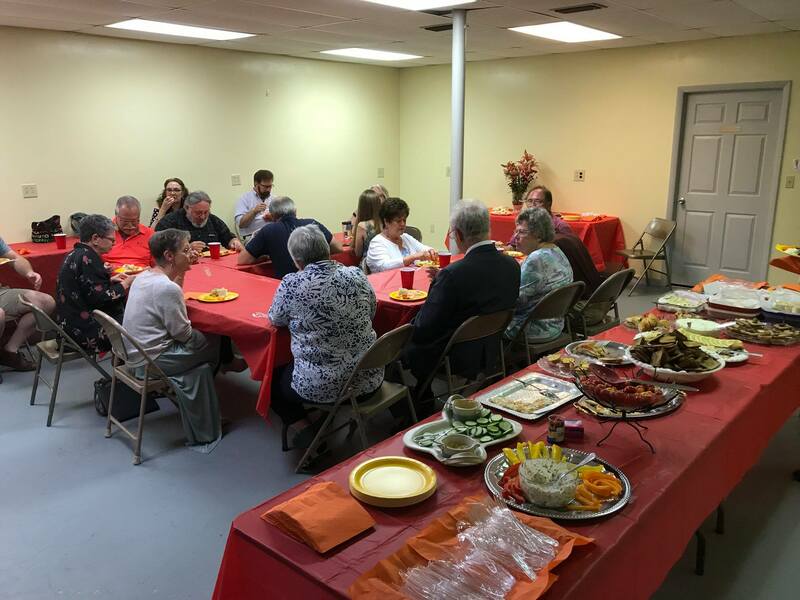 It was a busy weekend of ministry across the Southeast Conference, with our Conference Ministers visiting four of our congregations as they celebrated. 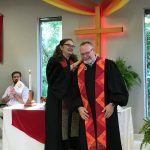 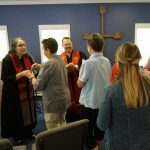 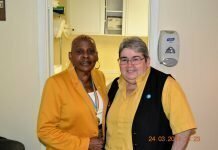 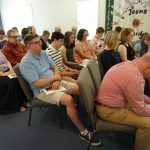 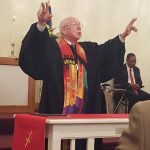 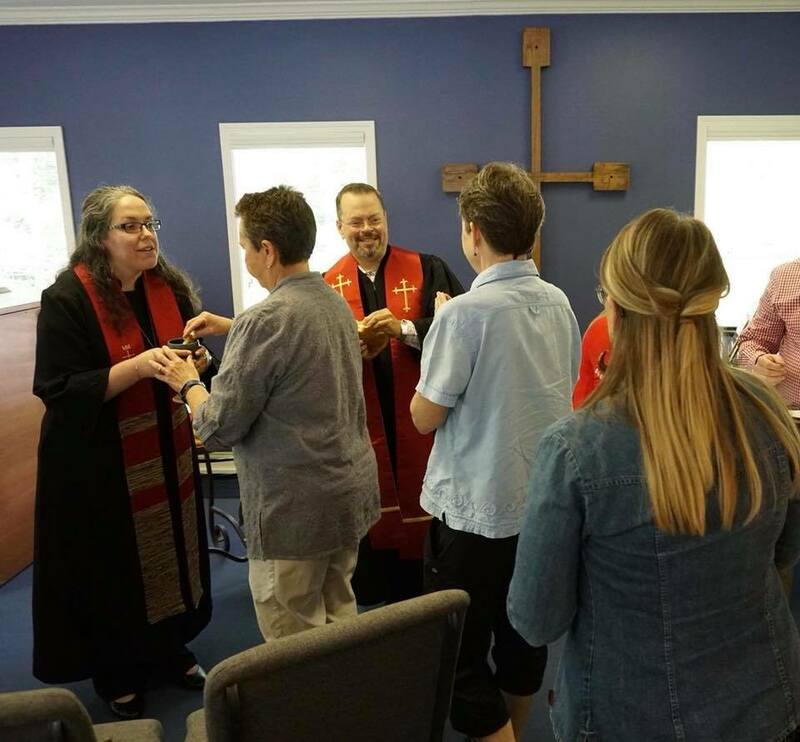 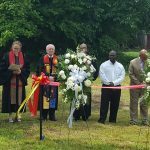 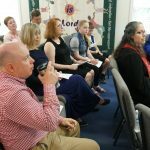 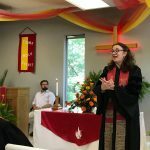 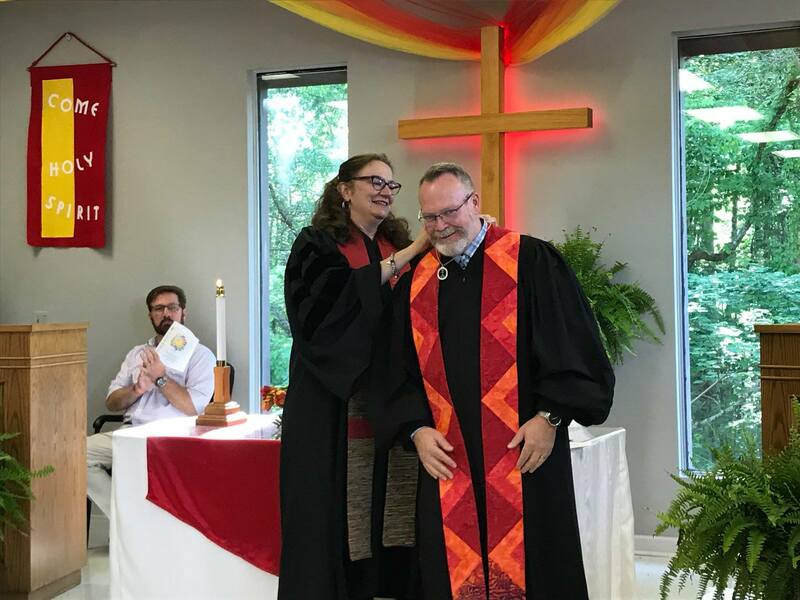 On Saturday, May 19th Interim Conference Minister Marie Bacchiocchi joined the congregation at the United Church of Cookeville as they installed James Bowman Harris as pastor. 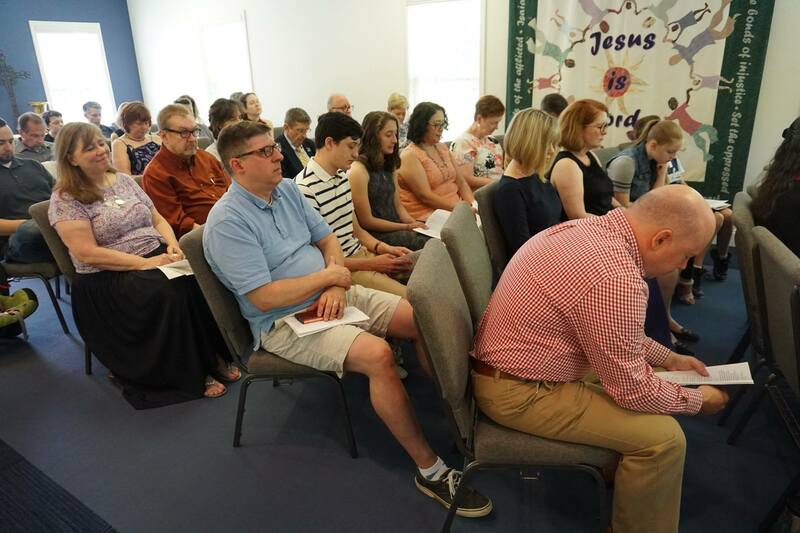 James is the fifth settled pastor at the church in Middle Tennessee. 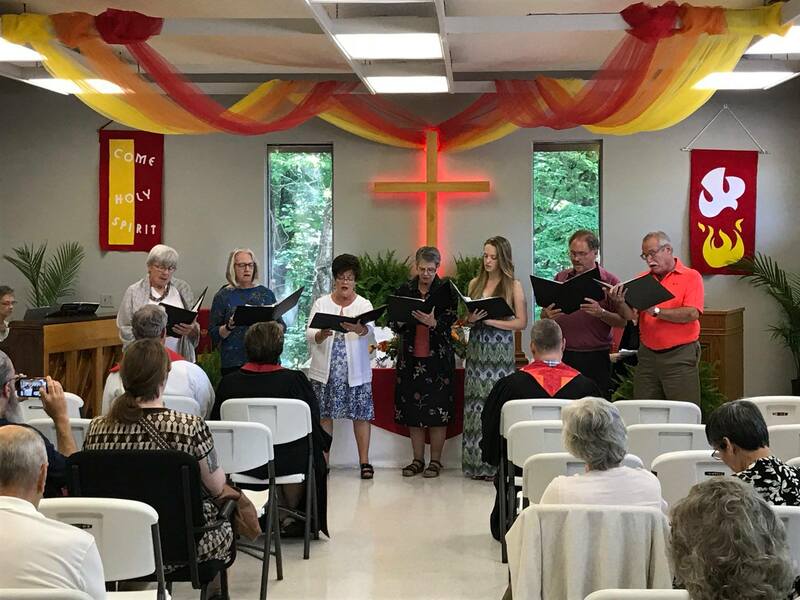 On Sunday, May 20th former Conference Minister Timothy Downs preached the sermon as the congregation celebrated 150 years of faithful witness to justice. 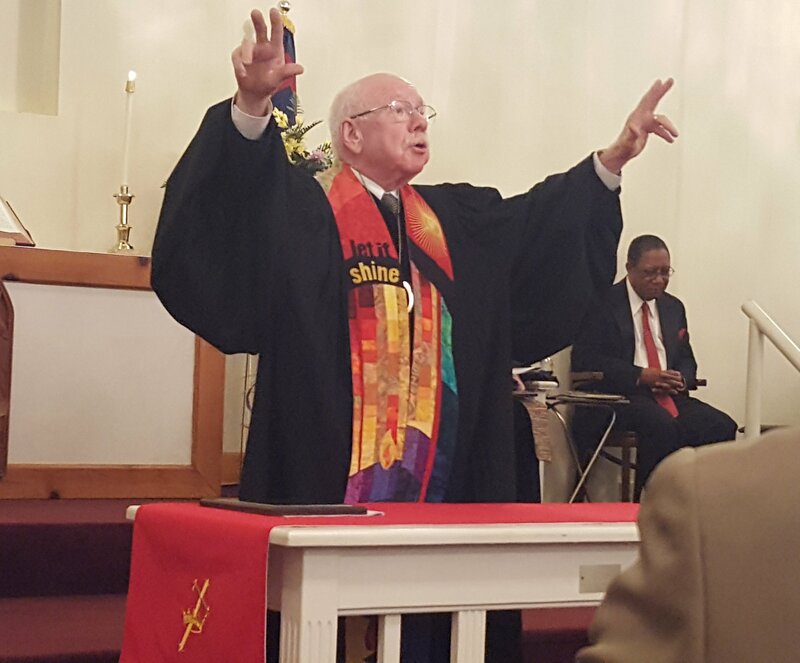 In his sermon Tim had am opportunity to remember and honor his mentor and colleague Rev. 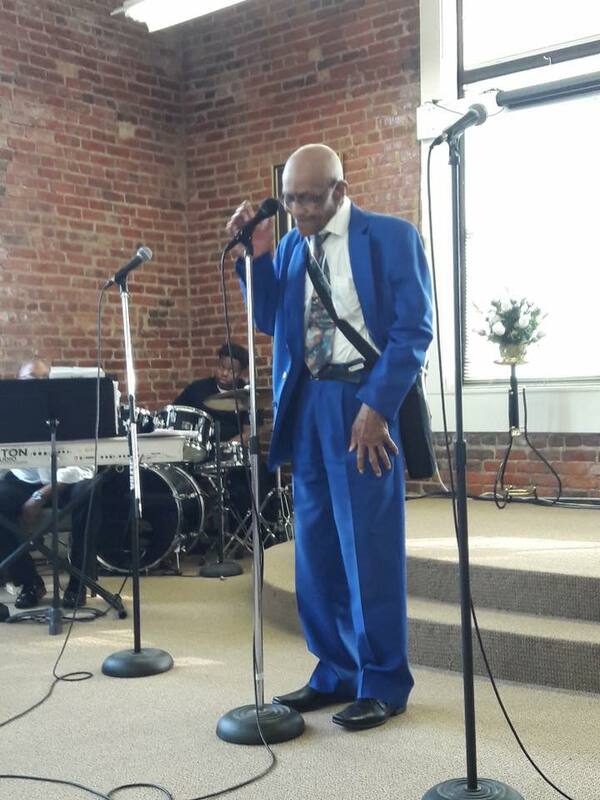 Milton Hurst who had served this congregation until his untimely death at the age of 70 in 2005. 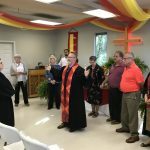 Tim’s called Milton “the soul of the Southeast Conference.” The Conference is grateful for the 12 years of faithful ministry of Rev. 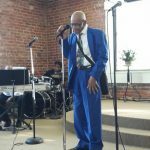 and Mrs. Reginald Holloway. 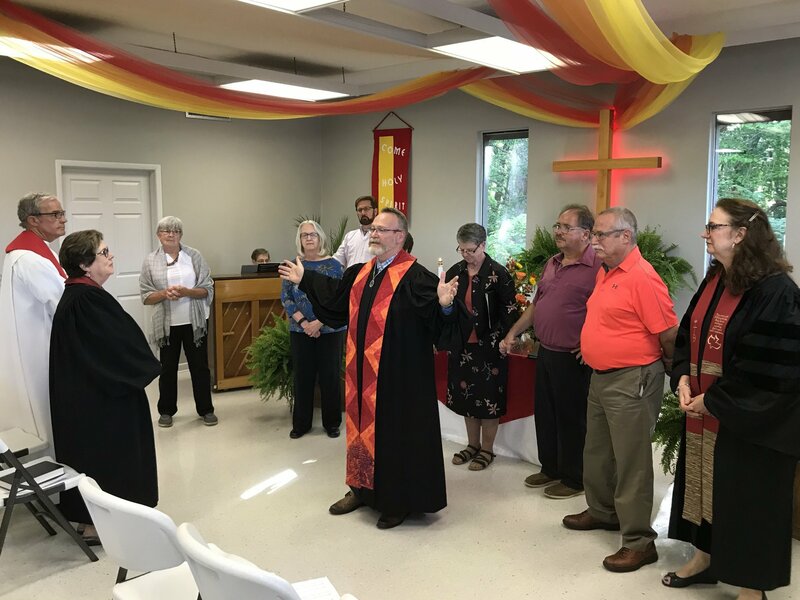 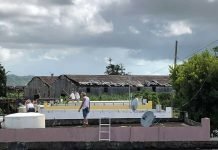 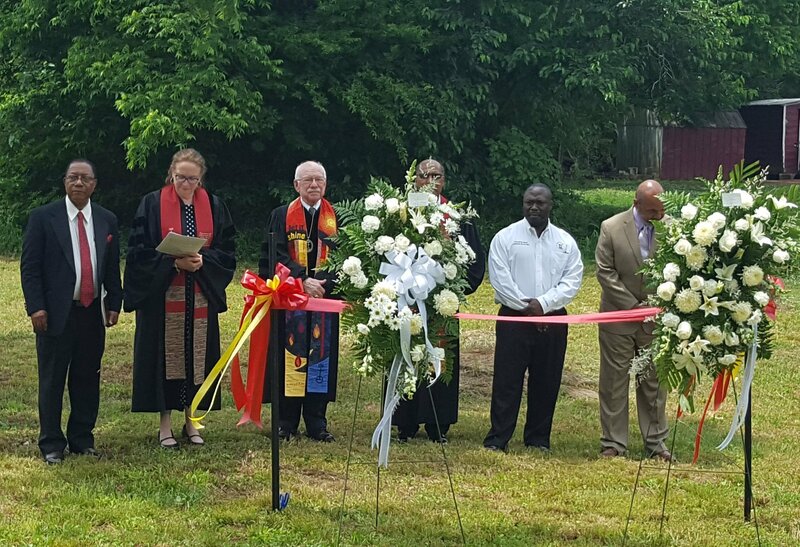 In addition to the anniversary worship service, the congregation celebrated the dedication of a newly purchased piece of land, at which Marie Bacchiocchi offered a prayer. 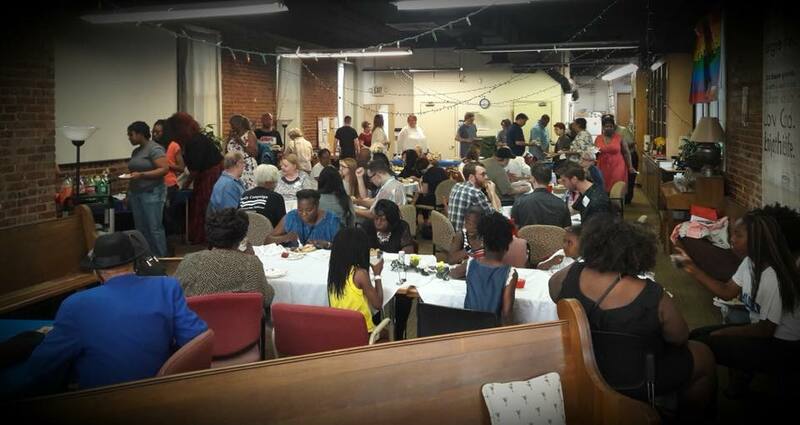 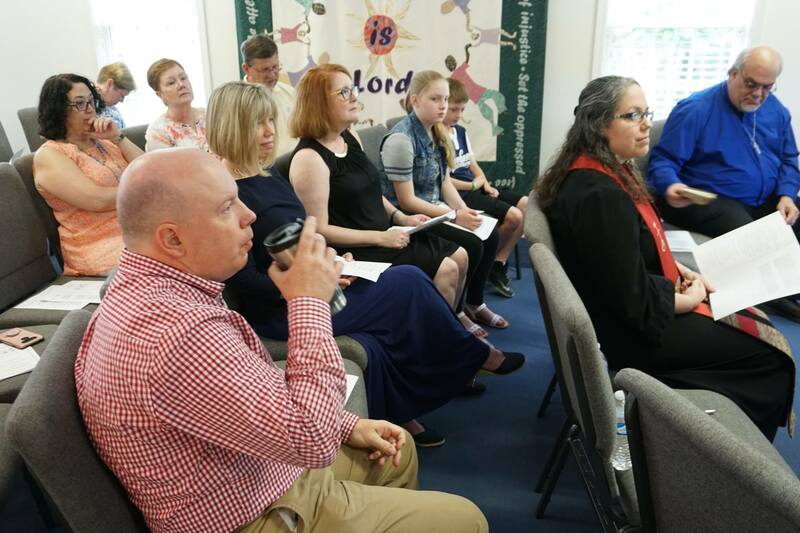 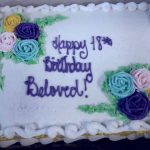 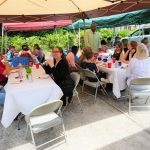 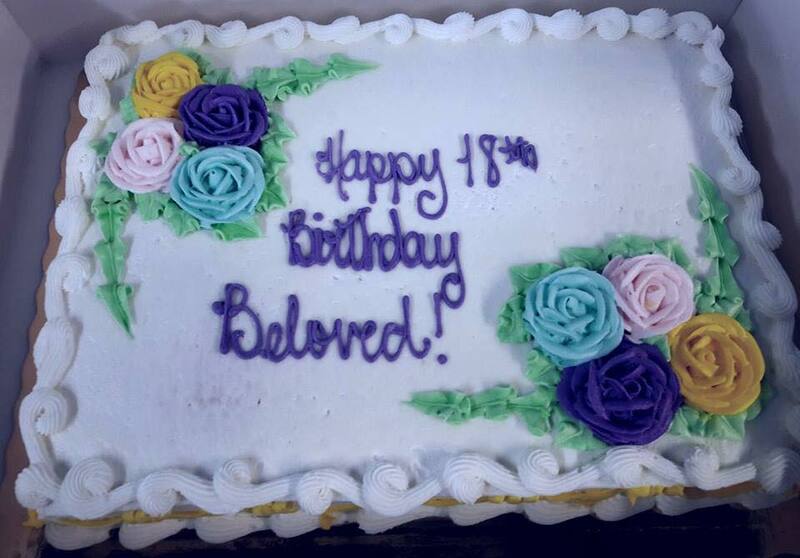 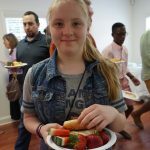 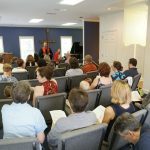 At their worship service on May 20th, Beloved Community Church celebrated 18 years of ministry with a service of worship, gratitude, and a program of sacred and gospel music. 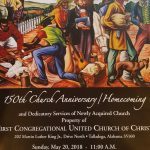 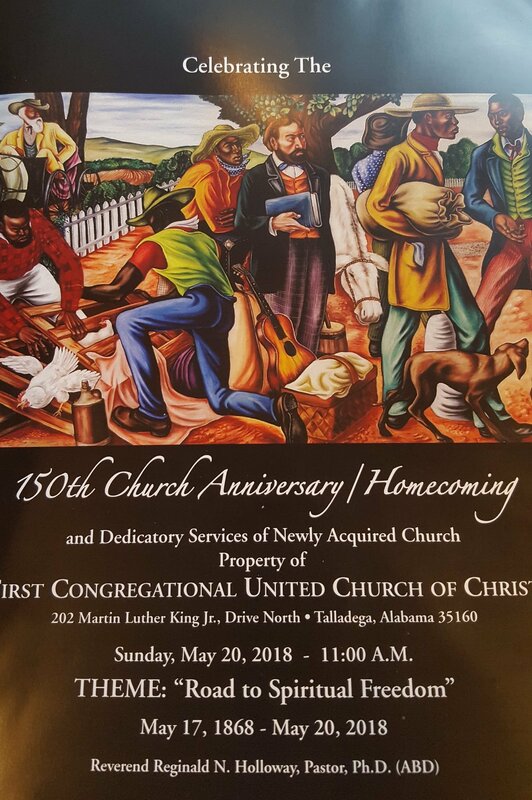 The service featuring musical guests including Grammy-Nominated David Sea of the Temptations Review, Gold Record Artist Roscoe Robinson, Gold Record Artist LeNard Brown of the Controllers, CWEN (Christ Will Enter In), and the Beloved Community Orchestra. 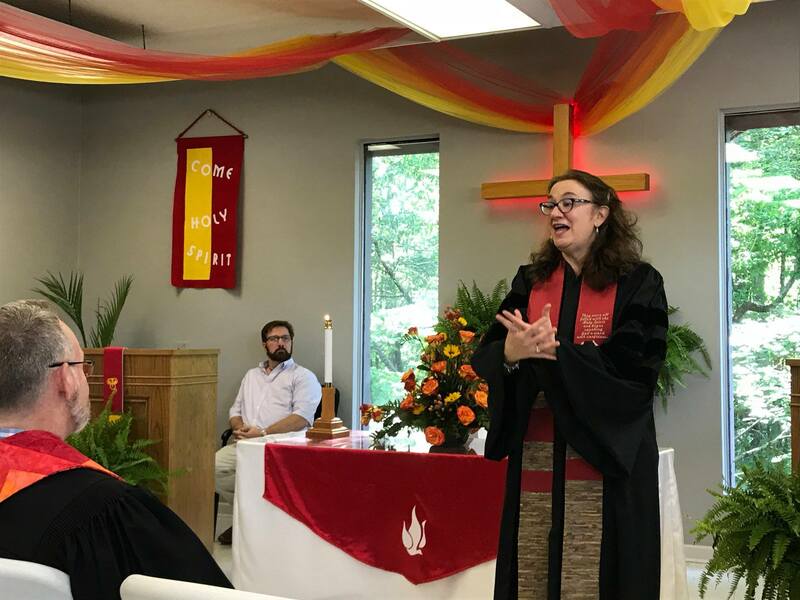 Interim Conference Minister Marie Bacchiocchi was pleased to join for the celebration! 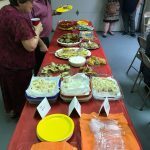 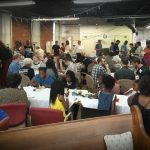 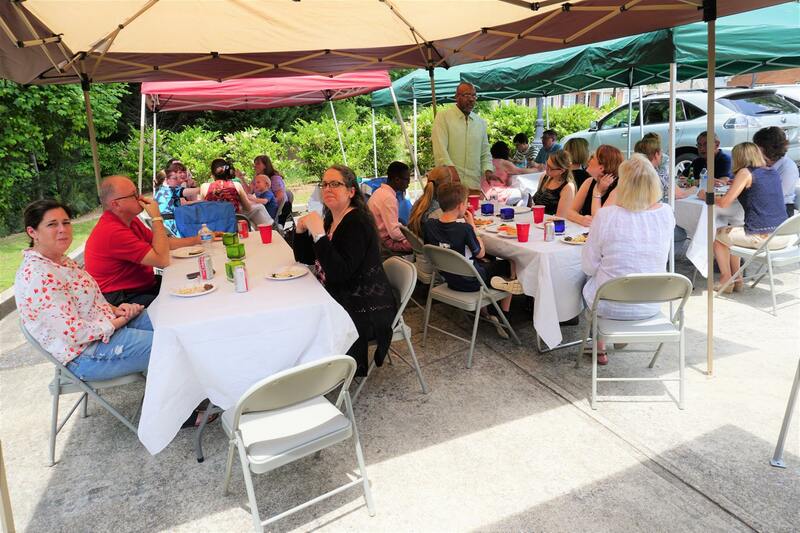 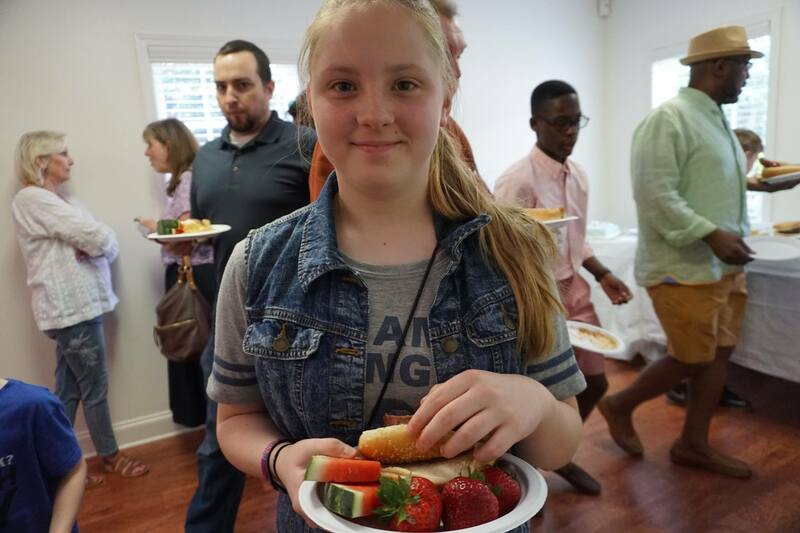 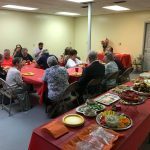 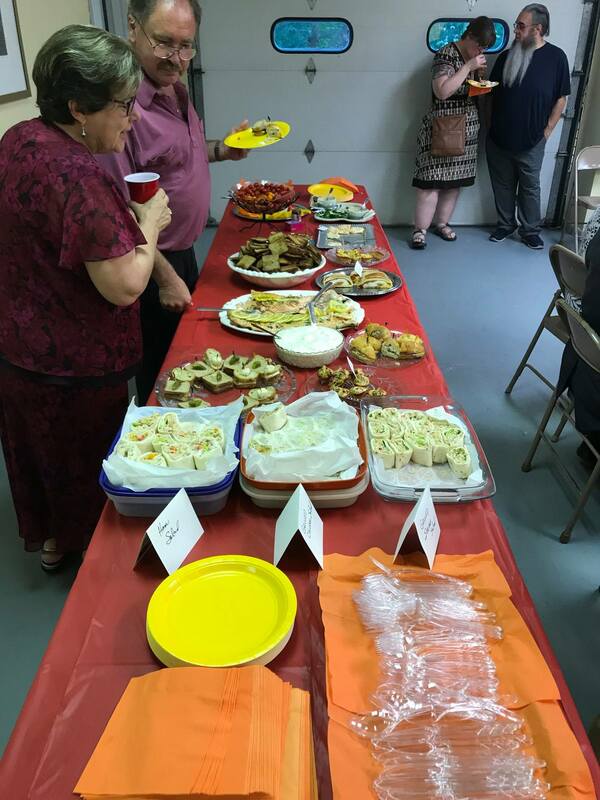 Associate Conference Minister Heather Bardole was honored to participate in the Worship Gathering and picnic after to honor the ministry and life of Church of the Savior. 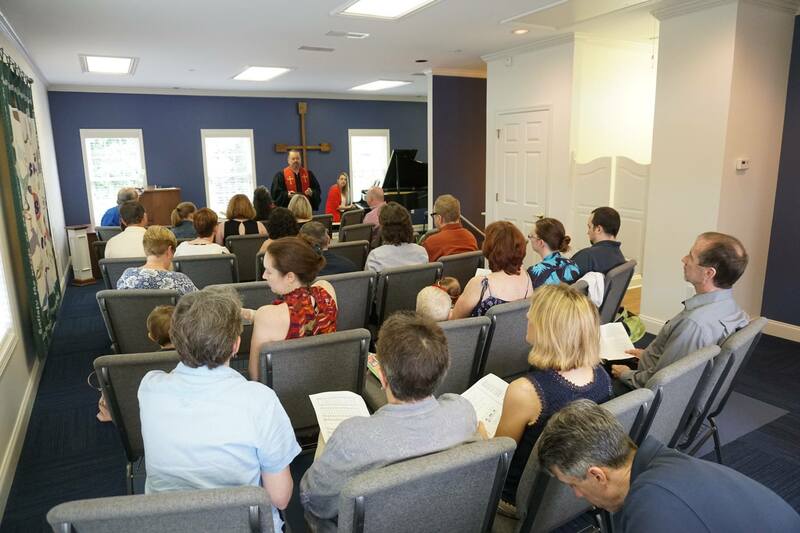 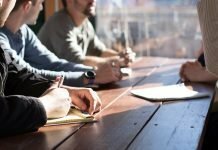 The members have decided the church will close and cease to be a worshipping community. 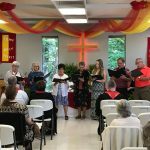 They celebrated the lives that were touched and the witness of the Gospel that COS has been for over three decades.